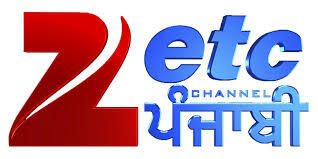 If you bored with available channel on DD Direct Plus package, But Now you can add new Punjabi / Hindi Channel at your channel list. You should have good Set-Top Box / Satellite Receiver or Decoder, if you are using lowest cost mpeg-2 receiver. you can miss this channel because some of china made set-top box can not cover dual satellite or low signals. You can buy Good Set top box from online. Well, if you have good set-top box then fill given below technical details and search your STB in FTA mode. if you will not choose FTA mode, you will get all Scrambled channel from Dish TV / Nss6 satellite. if you are not getting signals from Nss6 satellite then please rotate your dish in right angle with very little difference. or you can put any DD Direct Plus channel on your TV, with high volume and now rotate your dish in right angle. When DD direct plus signle is going weak then stop rotate and now search your STB.